The breathless social buzz leading up to the launch of the latest Star Wars movie on Friday needed a marketing stunt to match. 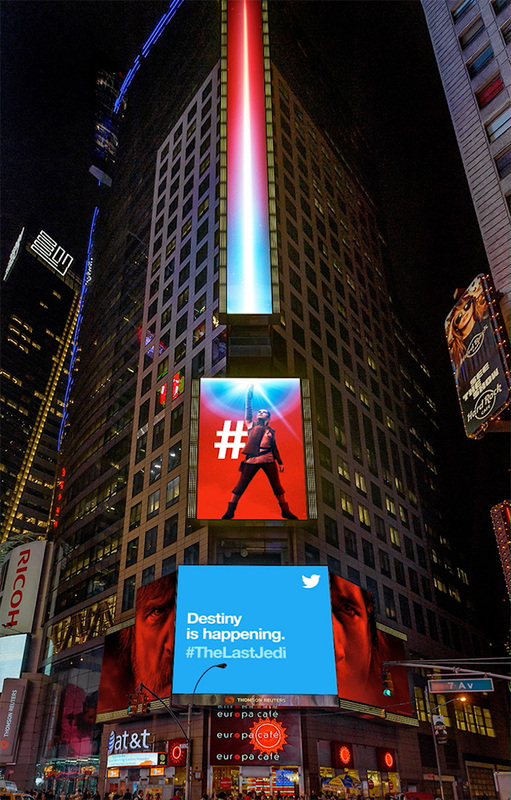 So, Disney teamed up with Twitter to plaster fan tweets across giant billboards in real time. 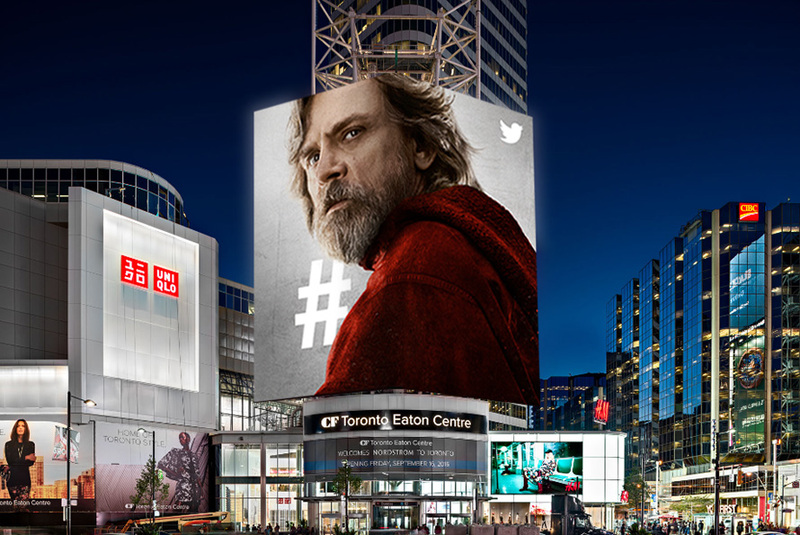 From 10 a.m. to 10 p.m. on Dec. 15, the 90-foot digital screens at Toronto Eaton Center in Canada flashed promo images features featuring characters from The Last Jedi, along with real-time messages pulled from the social media site. From 4:30 p.m. to 10 p.m., billboards in New York City’s Times Square and Bryant Park did the same. It’s far from the first time a marketer has toyed with billboards that respond to online input. In 2015, a Times Square digital poster for Coca-Cola shared fun facts about fans’ names, as triggered by their tweets. And back in 2011, Domino’s infamously gave Times Square billing to real-time customer reviews—both good and bad, sourced from its website—about its pizza deliveries, as part of its prostrating transparency push. Disney and Twitter, though, are smart to tie the buy to a major time-specific event, capitalizing on the substantial social buzz around the launch. The Last Jedi raked in $450 million in total box office revenue its first weekend—the second best opening of all time, behind 2015’s The Force Awakens. Toronto-based startup DIVE Networks, which helps businesses create custom real-time broadcasts to appear on office TVs and other screens, as well as billboards, helped bring the campaign to life.